A new study suggests the environmental health risks of oilsands operations in Alberta’s Athabasca region have probably been underestimated. Researchers say emissions of potentially hazardous air pollution that were used in environmental reviews done before approving some projects did not include evaporation from tailings ponds or other sources, such as dust from mining sites. 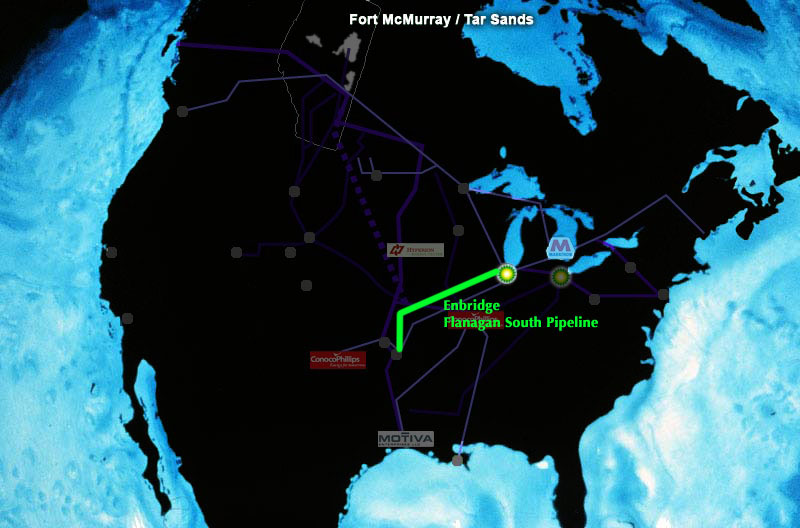 Congratulations to the people of TransCanada, Inc., whose long fight to connect the tar-sands-oil-pumping Keystone pipeline to the Gulf Coast of America finally reached fruition on Wednesday. Even without Keystone XL being approved. As communities in Ontario and Quebec await the National Energy Board’s (NEB) decision on the Line 9 reversal, new details about the devastating impacts of Enbridge’s now infamous 2010 Kalamazoo River spill in Michigan raise a series of unanswered questions about the health impacts of exposure to spilled diluted bitumen (dilbit), and about Enbridge’s ability to manage potential pipeline incidents. Researchers studying the mental health and well-being of Inuit populations in coastal Labrador say rising temperatures are having damaging psychological effects on people in traditional communities.